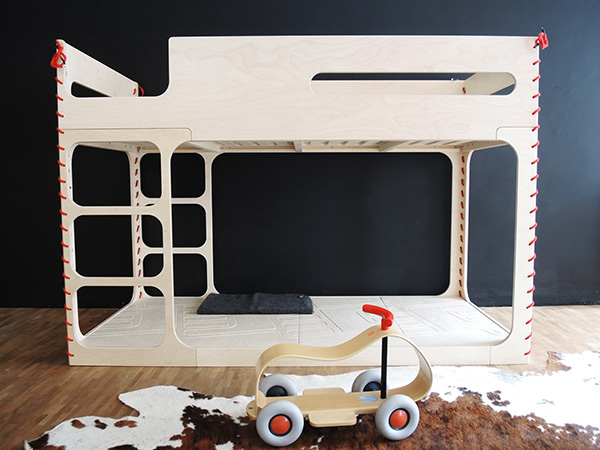 Perludi Flora In The Sky takes bunk beds to stylish (& pre-schooler friendly) heights! 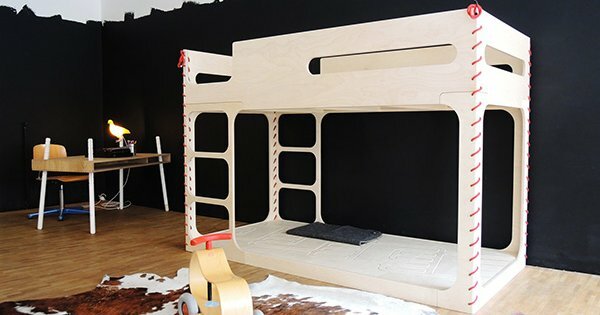 A new cleverly designed bunk bed has hit the deck of Perludi! Designed for Perludi by the ultra talented Thomas Maitz, the Flora In The Sky bunk/loft bed is perfect for those wanting to use all of their available space. With a kid-friendly 110cm sleep height, it provides a sleep nest sized just right for young children. Made using durable birch plywood, the clever Flora In The Sky bed design includes ladders on either side, which – you guessed it – means you can place this bed anywhere and anyway you please. A rope detail (choose red, blue or white) brings a fun quirky element to the design. Fit a mattress to the bottom for a younger sibling or alternatively, leave the bottom as a space to hang out and play. Also making Perludi news is a new colour for the awesome Amber In The Sky bed! We first introduced this Perludi design to Babyologists way back in 2009 and we’re pleased to see the bunk still going strong all these years later, though now available in grey, sand and a new orange colour. Flora In The Sky, priced €1950 and Amber In The Sky, €2400, are both available to purchase direct from Perludi. International delivery can be arranged.